One of my interests outside of work is coaching my son’s travel baseball team. He and his teammates are passionate about the sport, so the other coaches and I really enjoy the time helping the boys improve their skills and learn the game. We try to keep the actual travel to a reasonable amount, but we do get to see different ballparks in our region. It has been interesting to see communities make investments that replace ordinary ballparks with attractions that draw visitors from outside of their town. From firsthand experience, the quality of the park itself is a leading factor when teams consider where to play tournaments. In September of 2017, a Time Magazine cover article quoted statistics from WinterGreen Research, a private firm tracking the economics of youth sports over a ten-year period. The report showed a 15 billion dollar market with a rate of growth averaging 7 percent per year. A different report published in 2013 by the National Center for Charitable Statistics estimated out of town tournaments accounted for 27 percent of family travel. Both studies found the industry to be remarkably resistant to recession. In fact, revenue from sports tourism is a proven boon to the economies that host athletes and their families. 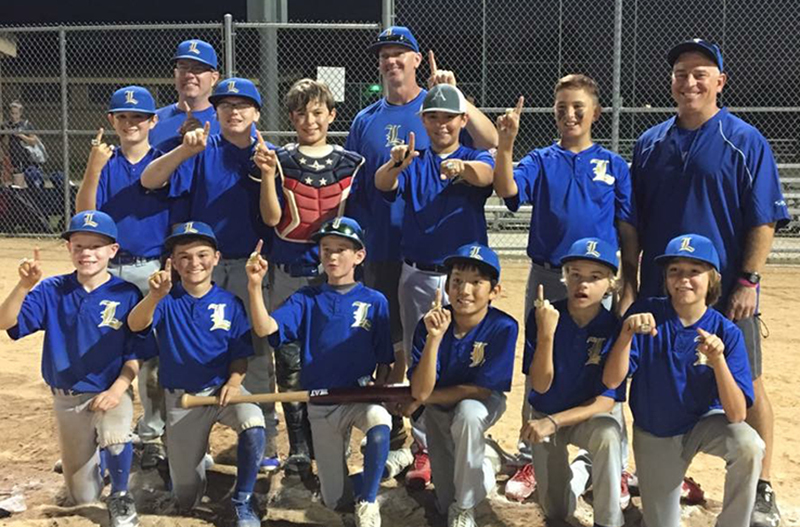 Brad Lacy, president of the Conway Area Chamber of Commerce in Arkansas, has seen the positive impact youth sports can have on a city’s economy. “In trying to be realistic and deliberate about our opportunities for economic development, youth sports became the mechanism through which we built a destination spot,” he said. The City of Conway constructed a five-field softball park called City of Colleges Park in 2009 and a nine-field baseball park called Conway Station Park in 2011. Both of these parks are among the best of their kind in the central United States. Both are exceptionally maintained and feature covered bleachers, air-conditioned restroom and concession facilities, and fields built to appropriate dimensions for youth sports. Large-scale tournaments pump money into a city’s local economy through the hotel and restaurant industries, but also in less apparent sectors. For example, anyone who has traveled to an out of town tournament can attest to the amount of downtime involved. During their free time, families go to the movies, shop, or attend a local event. 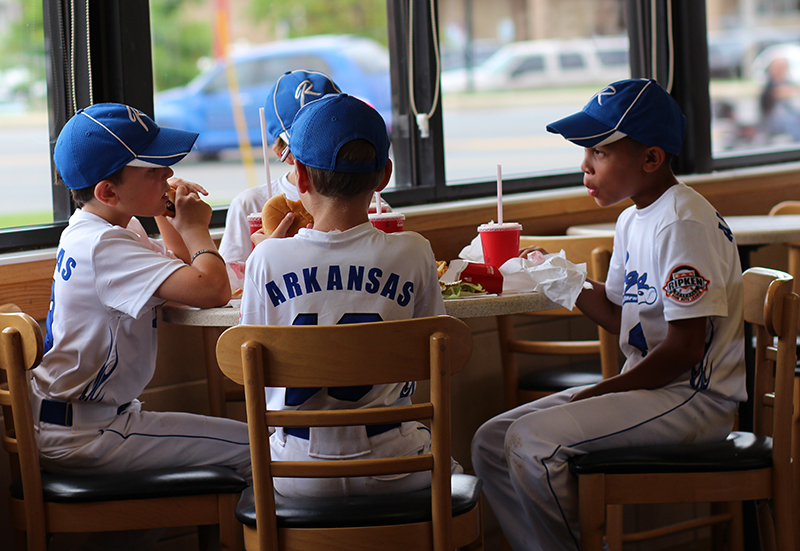 It is not uncommon to see groups decked out in uniforms and team colors around town throughout the year. “From mid-March through October our parks are booked,” Conway parks director, Steve Ibbotson said. “Each tournament has a minimum of 60 teams – when you multiply that by the number of players, family members, coaches, you can clearly see how it adds up,” he said. Ibbotson mentioned revenue from sales tax as well as advertising and promotion tax revenue as sources of income for the city. There are factors to consider before a community should invest in a major sports park project. 1. Before investing in a major park project, consider conducting an economic feasibility study to include conservative estimates for expected revenue and realistic cost estimates for construction and maintenance. 3. Once your park is constructed, dedicate a qualified staff and a sufficient budget to adequately maintain the park. Immaculately maintained parks improve the experience for the user and leave a lasting impression on visitors, which may lead to repeat tournaments. Youth sports have become not only a source of enjoyment for families, but a significant economic benefit for some cities. If your city is considering such an investment, the steps outlined above provide a good starting point in the planning process. The next step is to evaluate the non-sports activities your community offers that cater to families.